A +/-12V dual-rail power supply available in kit form (involves some SMD), as a pcb assembly (install in your own case) or as a stand-alone unit. Component Kits include components to dress the board but do NOT include the PCB. Enclosure Kits include enclosure with silk-screen panels, all panel components and wire for internal connections. 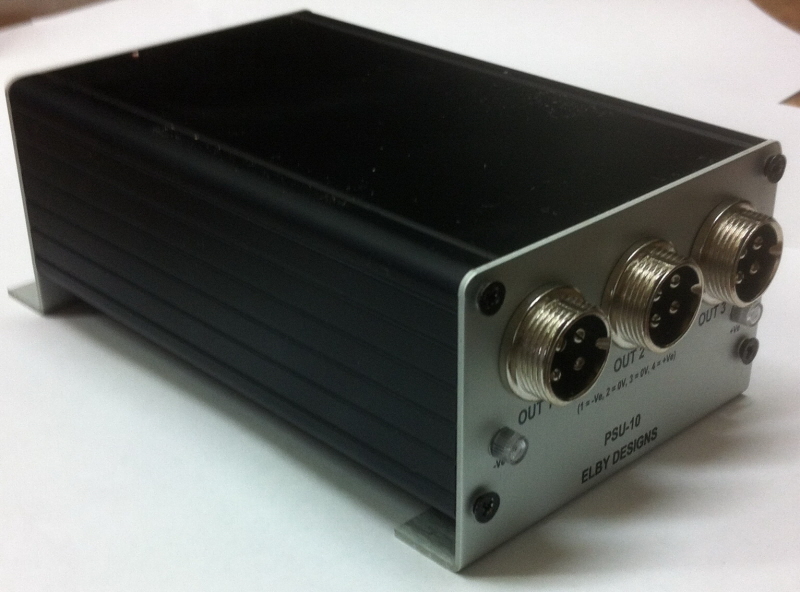 Please refer to the PSU-10 Datasheet for output ratings.